Do you want to save time, money and hassle? Do you want to work with an efficient, expert and genuine person? If you answered YES, then Full Stop can help! Full Stop Writing, Editing and Design is the one-stop shop for all your writing, editing and creative design needs. Creative director Lauren Shay helps businesses and solopreneurs reach their target audiences and generate excitement about what they have to offer. 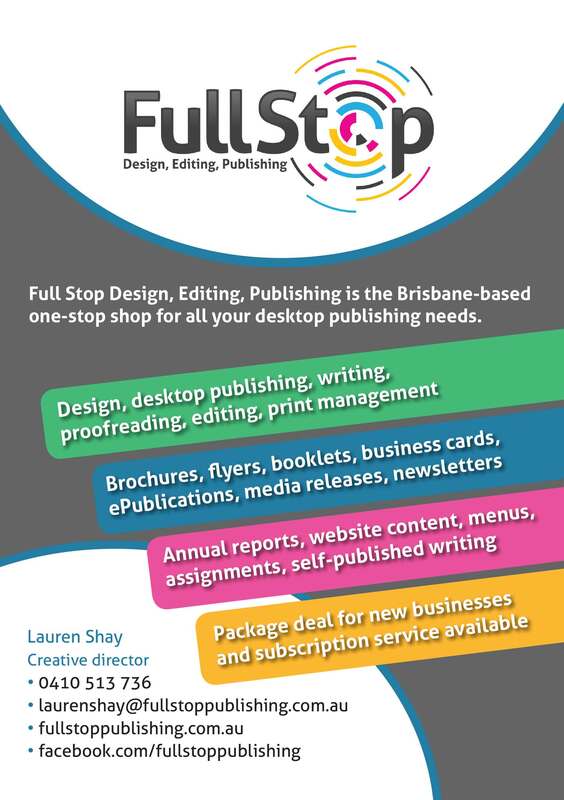 With services including professional writing and copywriting, expert proofreading and editing, innovative design and high-quality desktop publishing, Full Stop will turn your kernel of an idea into a captivating print or online product. Lauren values her clients and listens to their needs. She prides herself on providing a personalised, efficient and expert service that will ensure your business gets noticed.